The Singapore Fourth Chinese Almanac Coin Series will span 12 years, from 2017 to 2028. Each year’s issue will depict a zodiac animal in a park or natural landscape setting in Singapore. 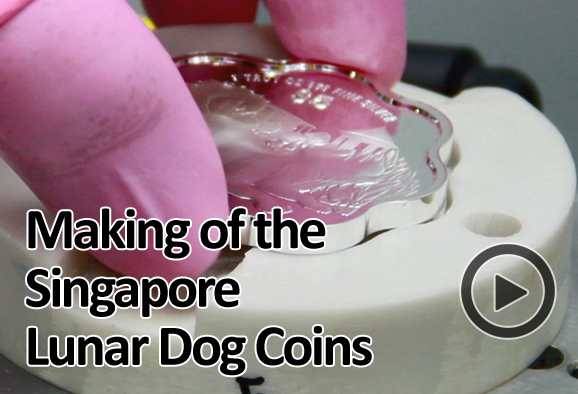 To welcome the Year of the Dog, the Monetary Authority of Singapore is proud to present the 2018 Year of the Dog Almanac Collection, the second issue of the Singapore Fourth Chinese Almanac Coin Series. This issue features the Dog with the Singapore Botanic Gardens in the background. With more than 150 years of history, the Singapore Botanic Gardens is Singapore’s first UNESCO World Heritage Site. The coins will be available in 10 different versions, comprising various metallic compositions, minting relief effects and shapes. Special premium sets consisting of various coin combinations will also be available. Make these coins a part of your collection for abundant blessings and fortune in 2018.